This 10,000 sq. 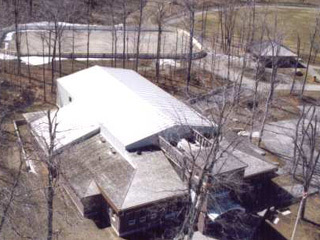 ft. conventionally built, multi-purpose structure is situated on Lakeshore Drive overlooking Kempenfelt Bay in Barrie. With a nautical design, this venue has proven to be a much sought after location for weddings, corporate meetings and special occasions. This three-storey, 35,000 sq. 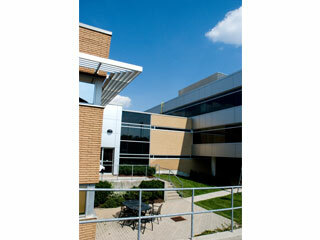 ft. office building features pre-cast concrete panels, blue tinted exterior windows and handicap accessibility. This 7,000 sq. ft. Robertson Building Systems (RBS) pre-engineered building is adjoined by a conventional block structure at the front entrance. It is equipped with banquet facilities as well as an auditorium. 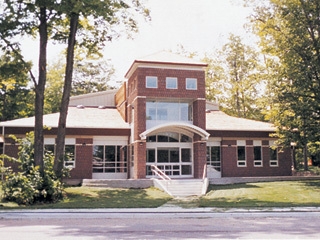 The Township required a building that would house a gymnasium for sports as well as a stage for performances. Using the flexibility of the Robertson design, we were able to integrate the building framework with a conventional design to create the front entrance and change rooms. This 9,000 sq. 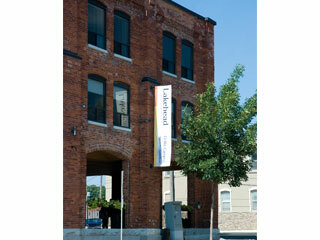 ft. firehouse was constructed using a conventional wood frame and block design. Two classrooms totaling 2,077 sq. ft. were added to the pre-existing school building. 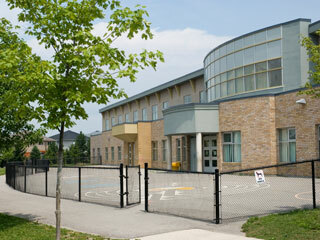 Approximately 65% of the project work was completed during a time when the school was continuing to conduct classes. 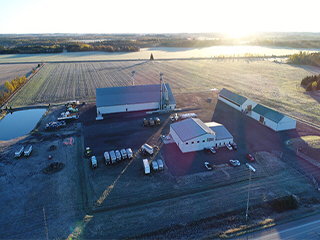 Les Bertram & Sons worked with the staff at the school and made sure that the addition was completed with great care and safety for all those around the construction site. A three-storey, 12,000 sq. 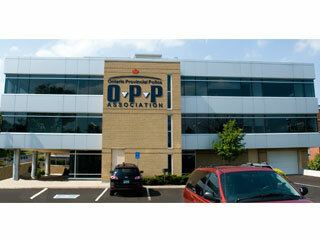 ft. office addition was added to the pre-existing building. In later years Les Bertram & Sons returned to complete a third floor tenant fit up. A restoration and renovation project designed to bring back the small town charm of the beloved school and community building built in 1902. 4,800 sq. 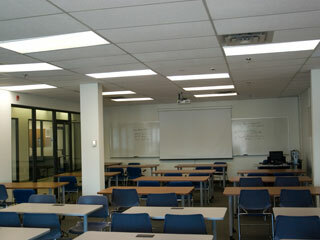 ft. of commercial space was renovated and converted into classroom facilities. With a limited time-line to convert the space, the classroom conversion was completed and ready to be used for the fall semester. 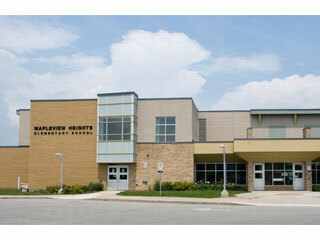 This project consisted of a 25 metre pool, 2 arenas, a gymnasium, 3 meeting rooms, and a fitness centre. Les Bertram & Sons was responsible for the site work, foundation, as well as putting up a pre-fabricated Robertson Building System. This 12,000 sq. ft. building is an RBS design warehouse, sales and service facility. The flexible warehouse design allows for a multi-tracking storage system. It also incorporates a mezzanine office and storage area, which maximize the use of available space. The building features the Robertson Durarib metal siding profile above the architectural block, the Robertson SMT framework and the Standing Seam Roof System (SSR), which accommodates a built-in framed canopy above the loading bay doors. 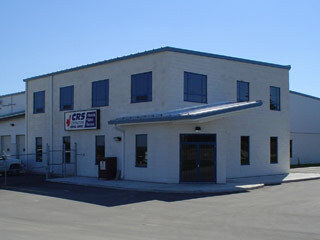 CRS rents, sells and services a variety of equipment for building contractors and trades. 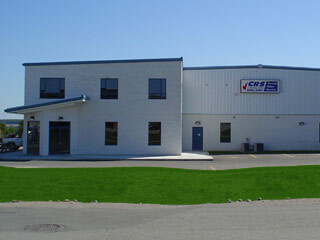 The company was looking to consolidate its operations into an all-in-one facility. In addition to the 4 loading bays, this building features a loading dock for servicing the rental equipment and a mezzanine for additional storage.